Navi Mumbai is a twin city across the harbor of Mumbai. 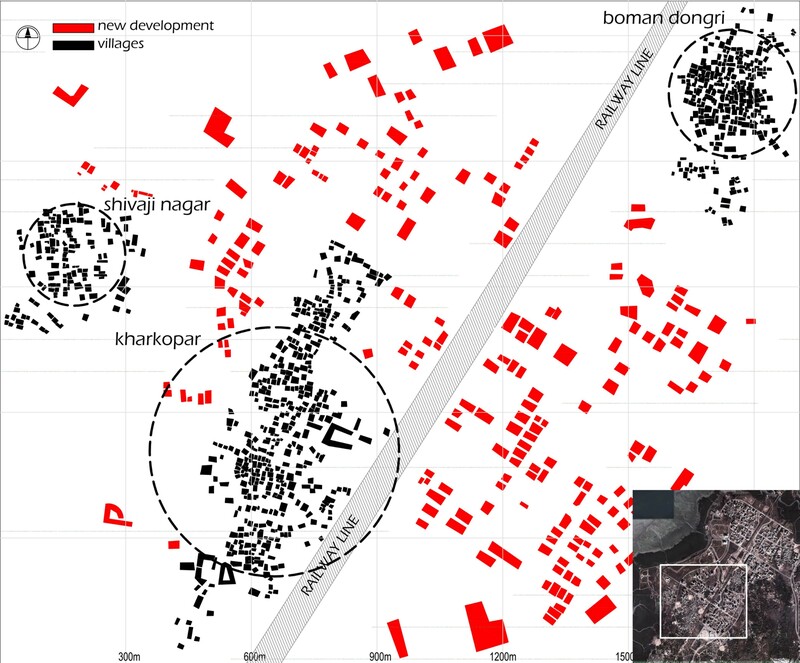 The city consists of 13 fragmented clusters or ‘nodes’ of dense, self-sufficient neighborhoods. An entirely planned city, it is an interesting amalgamation with nodes planned around stations invoking the principles of Transit Oriented Development (TOD) and the residual green spaces between the nodes reflecting elements of Garden cities. Ulwe, one of the ‘nodes’ in Navi Mumbai is particularly significant as many major infrastructure projects such as Navi Mumbai International Airport, Sea link, Special Economic Zones, Metro links are planned in its vicinity. This resulted in a tremendous surge in investments in Ulwe and therefore completely transforming its landscape in a very short span. Prior to the proposals, the villages in the region practiced agriculture and fish/prawn farming. This has resulted in a distinctive urban form in Ulwe, which has at least 7 villages merging with the new city. 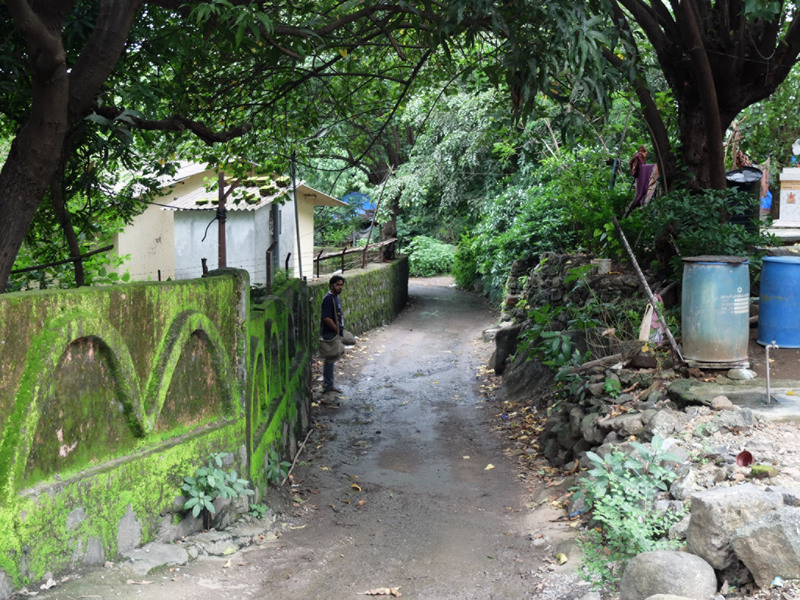 We visited 3 villages – Shivaji nagar (not this Shivaji nagar! 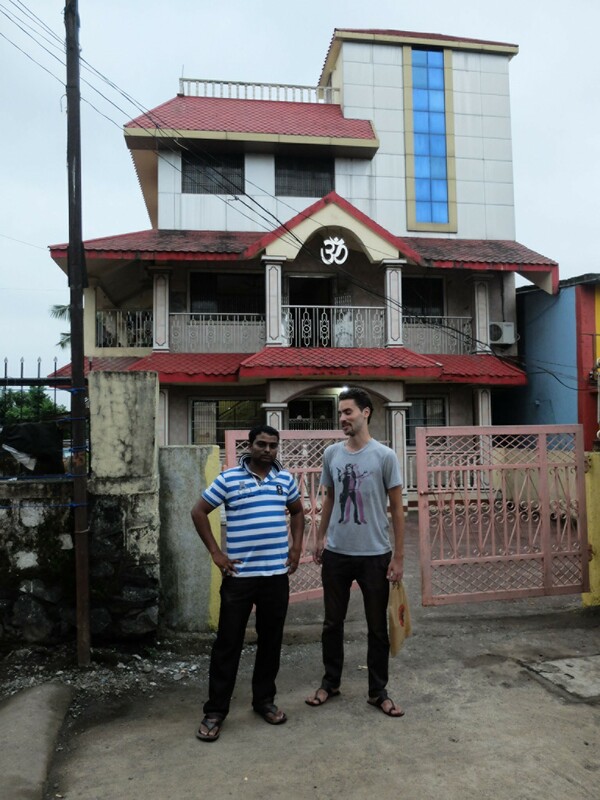 ), Boman dongri and Kharkopar all of which are now a part of the city. Our aim was to see how the inhabitants and the built environment interact with the new city. Ulwe is not yet connected to any suburban railway. The closest station is CBD Belapur on the Harbor Line. From there two options are available to reach Ulwe – buses which have a significantly long headway, or we could -and we did- take a rickshaw. Price is fixed at Rs. 150 to get there in less than half an hour. Eventually our driver warned us that we would meet difficulties to find transportation on our way back. Arriving in Ulwe, one is overwhelmed by the scale of an entire city under construction. The streets wear a deserted look and the most dominant commercial activity is the presence of real estate offices. And ironically, the only few shops owned mostly by villagers, would not be located in the new structures, but in informal temporary shacks. Though it is still under construction one can clearly sense the lack of thought in planning the streets for pedestrian movement or even for vehicular parking. Land value seems to have taken precedence over all else even in this pre-planned neighborhood. 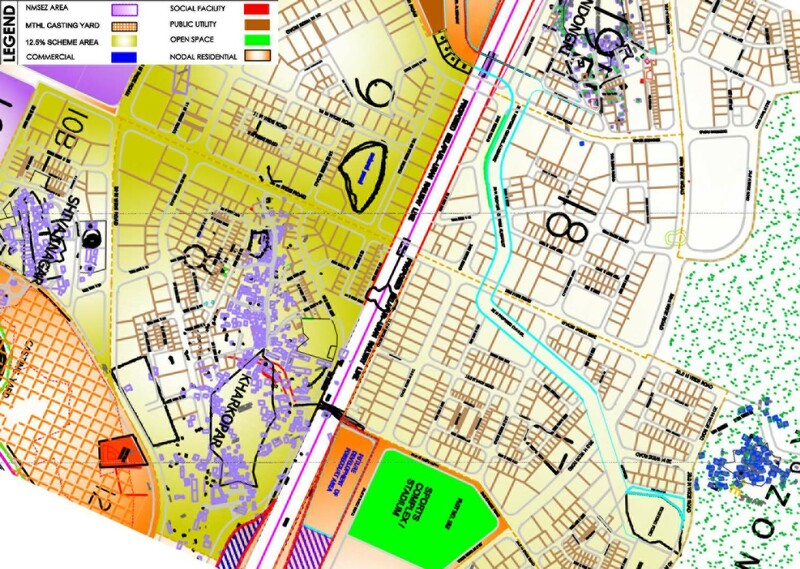 This is particularly evident from the plot layout of the node (Image 4), which is clearly aimed at creating maximum developable land with little consideration for public spaces, walkability, accessibility, topography, and the villages. Entering the villages one is struck by the contrast resulting from the traditional Marathi architecture. Their access is not well defined and does not seem to have been considered at all when planning the new city. 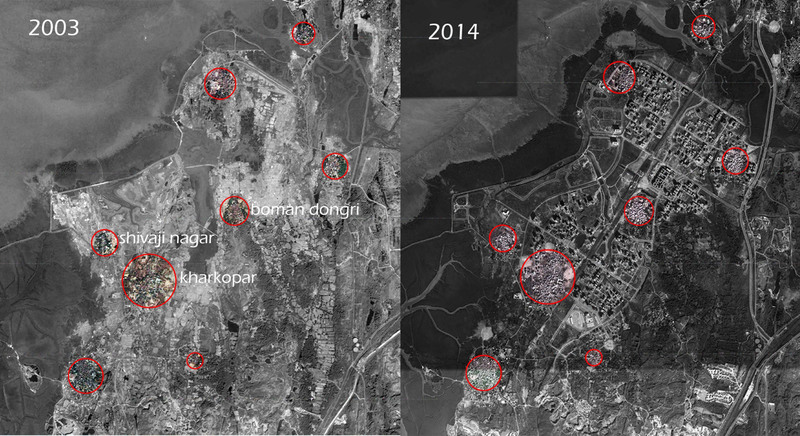 In fact, despite villages being built on top of hills, surrounding buildings hide them. They work like a maze with very limited visual or physical access from the outside but highly permeable from within (Image 3). The narrow streets in contrast to the four-lane roads of the city act as a catalyst to a series of quality enhancing experiences within these urban villages. It results in intimate and visually perceptible spaces. The streets are well shaded and allow fresh air to blow through. 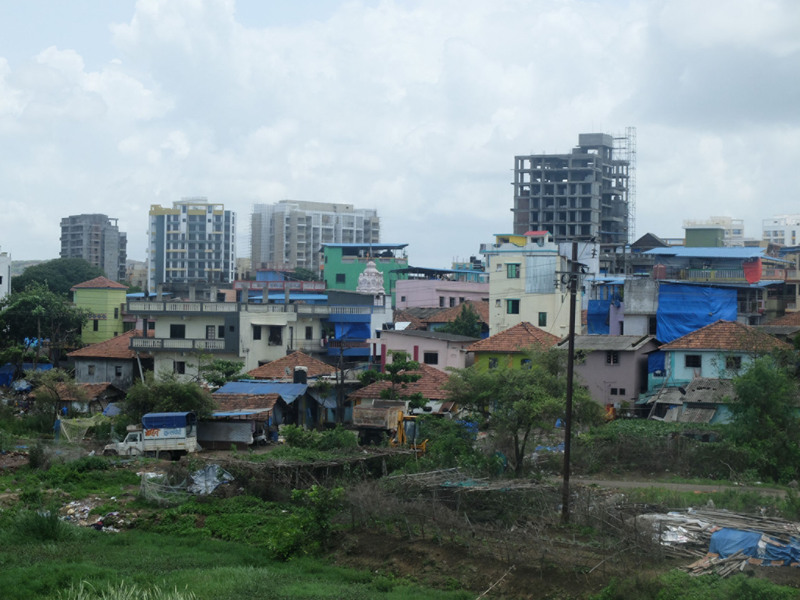 Although “because of the newly built towers, there is no wind anymore” complains one inhabitant of Khar Kopar. One can see some architectural mashups influenced by the new city which reflect some new quality of life expectations. 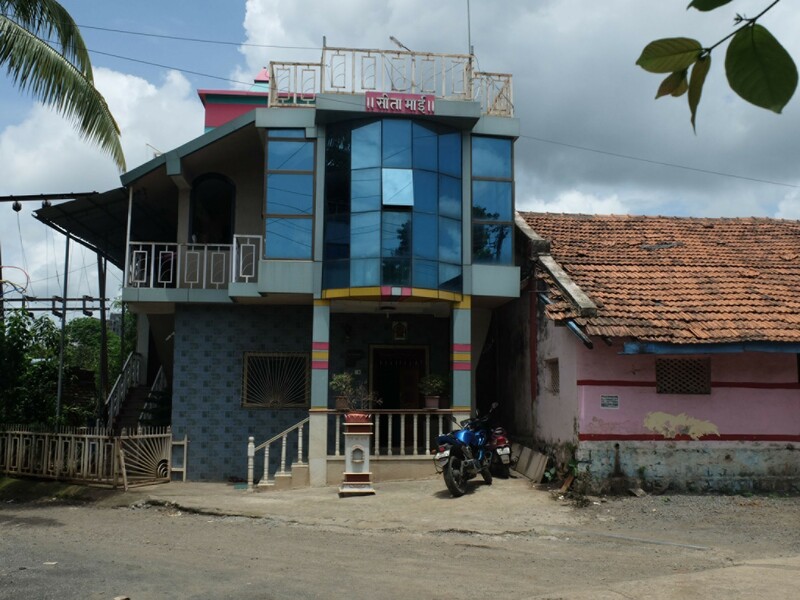 Mr Vishwanath born and brought up in the area, grand-son of a farmer and now a prosperous construction material supplier lives in a 3-floor house, built by an architect relative after destroying the old family house (Image 9). It is important to note that most villagers practised agriculture prior to the development of the city and have been impacted by the quick changes. As a compensation for their farming lands, CIDCO developed a scheme giving 12.5% of their land in the new city and allowing them to benefit from the increased land values. “When CIDCO started buying agricultural lands in 1982, people were happy to sell as it felt more profitable than their agricultural earnings. But the land values were not uniform as people sold the same land for Rs. 15,000 to Rs. 2,00,000. “People spent their money on drinking, building home, bikes, or put money in banks”, he invested in a goods carrier business and bought two cars. Although he is “still running from office to office” to receive the remaining half of his 12.5% compensation. Like most newly planned cities in India and much of the developing world, Ulwe bears the familiar disregard for its geographical, social and the cultural context. There is little that differentiates Ulwe, a ‘futuristic city’, from its unplanned and haphazard counterparts in India. One would have hoped for an intervention of the scale of Ulwe to adapt certain aspects of its existing village settlements, which would have resulted in a seamless urban fabric that responds to its context. – It is likely the infrastructure projects would get cleared and implemented in the next decade. Howeve, it is unlikely that this will bring about equitable development. – The delay in development may result in the settlers migrating in search of livelihood. 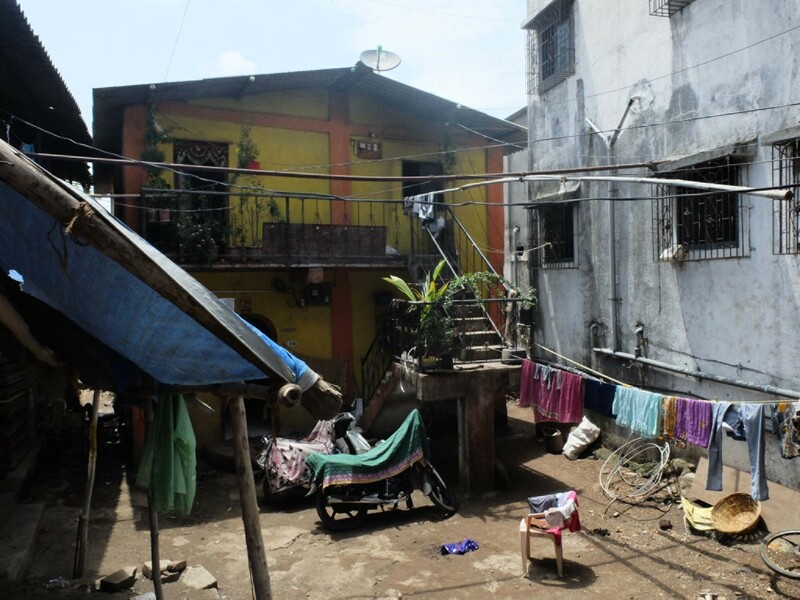 – The new city develops rapidly and the urban villages get neglected resulting in slum-like conditions. – The development pushes the land values in the strategically located urban villages and hence gentrification. It is important to recognize the uncertainty with respect to the urban villages and their future, which hold a significant population. The policymakers need to make conscious policy proposals that not only protect these communities but also improve the quality of infrastructure in these villages. This post was co-authored by Pierre Kirk-Jensen and Tausif Iqbal who have volunteered with URBZ in July and August 2014. Tausif is an architect currently studying urban planning. He is terrified by the way world cities are developing and is trying to learn alternative practices in architecture and urbanism. Pierre is a student of Urbanism from Paris. He is finishing his masters after completing a history degree and is passionate about the urbanization process in India.